Separate bedroom suites with clear paths from bedroomto bathroom designed to reduce the stress associated with toileting and bathing. Abundance of natural light that helps regulate circadian rhythms which can alleviate sleep disorders, sundowning and seasonal depression. Wayfinding and orientation with the use of colors, aroma therapy and artwork, including views to the outdoors that promotes use of exterior spaces and walking. Safety and security, not only is it important for residents to be safe and secure they must perceive themselves to be safe and secure. This can be achieved with restricted window openings and secure garden fences. Secure outdoor spaces give people with dementia a secure place to go outside and helps reduce elopement attempts because residents no longer feel “cooped up”. Consistent staff assignments with the same staff assigned to the same house at the same time in order to foster a sense of familiarity, an ability to truly know each individual and cater to their needs. Smaller, intimate gathering places for those residents that feel overwhelmed by larger crowds. The design and layout of SMMC minimizes overstimulation as many residents become overwhelmed by large groups and spaces and can be susceptible to confusion and distraction. This is where more intimate settings should be provided. We mitigate the size of our 24 room small house by linking two 12 room houses around a central “Town Hall” that can be used for arts and crafts, dining and group activities. 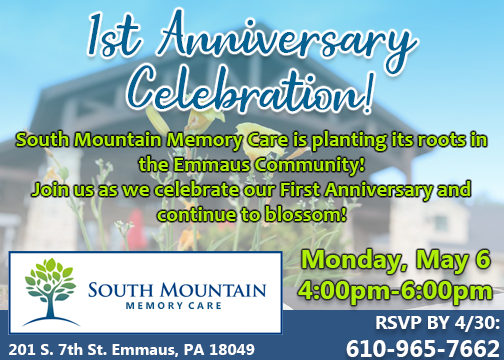 Please stop by and visit with our team and take a tour of SMMC to experience the difference small house design can make.